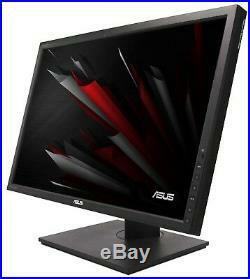 Asus PA248Q 24 LED IPS Widescreen LCD Monitor. Max Resolution: 1920 x 1200. Image Contrast Ratio: 1000:1. Inputs: DisplayPort, DVI, HDMI, USB, VGA. VESA Compatible (wall mount): Yes, 100 x 100 mm. Stand Adjustments: Height, pivot (rotation), swivel, tilt. Dimensions (WxDxH): 22 in x 9.3 in x 15 in. These items have been refurbished and are confirmed to be fully functional. These items have Grade A LCD screens. 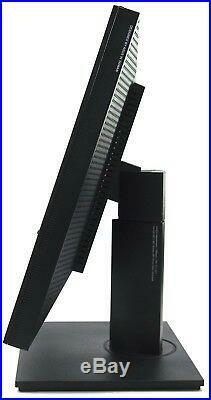 Items with Grade A LCD screens are in excellent condition and exhibit great picture quality and brightness. These items have Grade A glass LCD screen covers. Items with Grade A glass LCD screen covers are in excellent condition and exhibit great picture quality and brightness. These items may have minor scuffs or scratches on the housing. If it is not in the photo or stated in the included section, it will not be in the package. An extra charge will be applied to HI, AK, or PR purchasers. Orders will be combined if necessary. Please be sure all items are packed for safe travel. Use a rigid box with flaps intact. Wrap all items separately using at least 2 inches of cushioned packing material. Pack items and all included pieces and documentation in a box, ensuring that the items are not touching the walls of the box. Your product does not match the listing description. You receive the wrong product. Your product matches the listing description. The product does not exhibit the described reason for the return i. A return initiated for a DOA product that powers on and works properly upon inspection.